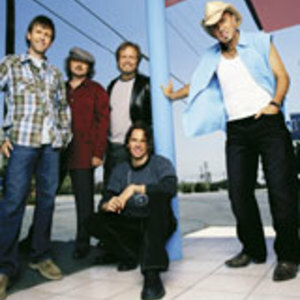 Sawyer Brown is a country music band formed in 1981 at a Pizza Hut restaurant in Apopka, Florida. Lead singer Mark Miller asked keyboardist Gregg "Hobie" Hubbard to play piano for a couple of songs he had written. The two left for Nashville, Tennessee, where they met up with Florida drummer Joe Smyth, Michigan bass player Jim Scholten and original lead guitarist Bobby Randall. They first called the band "Savanah", but renamed themselves "Sawyer Brown" after Sawyer Brown Road, the street where they rehearsed. Miller likes to say "We thought it would be easier to get work if people thought we were one person." The band played up to five sets a night, six days a week, until they auditioned for the TV show Star Search in 1983. They auditioned just to get the videotape to promote the band, yet ended up winning the $100,000 grand prize and record contract. The band was having ups and downs in the charts again ? mostly downs. In 2003, they parted with Curb, their record label of eleven years, and signed with Lyric Street Records. They released one single, "I'll Be Around", and then left Lyric Street as well. In 2004, they re-signed with Curb, but Duncan Cameron decided to leave the group to pursue a life-long dream of flying for Southwest Airlines.